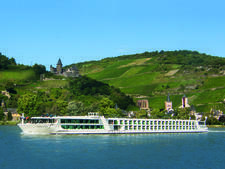 Affordable, comfortable, friendly -- these are just some of the words that can be used to describe a European river cruise on Emerald Star. 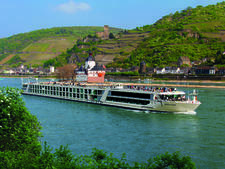 Part of Emerald Waterways -- the more value-oriented sister company to the more luxurious Scenic -- the ship seems more relaxing and laid back than many of its counterparts on Europe's waterways. One of the first things you'll notice about Emerald Star is how comfortable it feels. Decor is modern, almost IKEA-like in its sleek simplicity; there are no bold patterns to overwhelm the senses, no period-piece furniture you're afraid to sit on. The lounge, which stretches half the length of the boat and is the hub for all activity onboard, is decorated in shades of black, white and gray with colorful pops of bright pink chairs. There are plenty of comfy couches and armchairs to sit in and watch the scenery go by, chat with other cruisers, read a book or play cards with new friends. 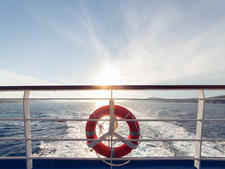 The friendliness of the crew and your fellow passengers just add to the comfortable feeling. Wait staff, bartenders, the guest services folks and the cruise director are always smiling, always ready to lend a hand or ask how your day was. Passengers tend to be down to earth, there's no dress code (so no one is judging!) and with open seating at all meals, it's easy to meet other people. 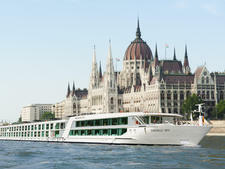 Emerald draws many Australians, so the ship can feel boisterous at times, unusual on a river cruise. 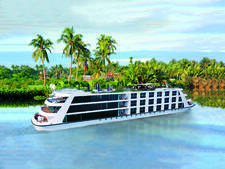 Another standout feature of a cruise on Emerald Star is its affordability. There are many inclusions, from daily excursions to unlimited Wi-Fi and, most impressively, all gratuities -- both onboard and on land, meaning you never need to worry about having extra money on hand to tip a tour guide in a local port. Complimentary drinks (both soft and alcoholic) are poured liberally at lunch and dinner; if you want to drink at other times, prices are high but if you can hold out until mealtimes you can get plenty to drink. 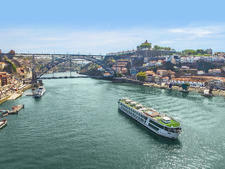 Also included onboard are bikes for passengers to use when in port and -- rather unusually for a riverboat, a beautiful back-of-the-boat infinity pool -- a particularly popular spot when sailing between ports. In 2019, Active Managers will be brought onboard to help faciliate staying active, with yoga and Pilates classes, as well as aqua aerobics. Our biggest disappointments on Emerald Star came from the sometimes limited time in ports (most visits were a half day) and the mostly non-existent onboard enrichment and entertainment. With so much time on the boat and not a lot to do, we heard that naps quickly became a favorite pastime on any afternoon we weren't docked. Emerald Star attracts mostly retired Australians and North Americans, both from the United States and Canada, as well as a smattering of folks from the United Kingdom. At least 50 percent of the passengers are from Australia, unless an itinerary is only one week (and not just a one-week subset of a longer cruise) in which case there will be more folks from North America and the United Kingdom. Passengers are well-traveled, social and generally affable. The average age is between 65 and 70 years old; during the height of the summer the demographic skews toward the lower end of the range, while at the start and end of the season, it skews older. Cruise Critic’s professional photographers and our extraordinary community members have taken 403 pictures of Emerald Star. When you visit our photo galleries, you can be assured that what you see is what you get. There's not much of a dress code on Emerald Star. The only items not allowed in the dining room during dinner are shorts and flip-flops (though we did see men in shorts during dinner). During the day you'll see lots of shorts (both men and women), with men donning T-shirts and collared or button-up short sleeve shirts and women in blouses and a smattering of T-shirts. In the evening, many women change in to casual dresses, though you'll also see plenty of women in dress pants or capris. Most men wear trousers and button-up shirts. A limited number of bikes are also available at no extra charge. 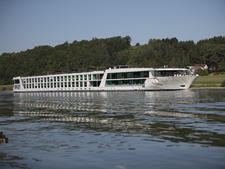 Emerald Destiny -- one of Emerald Waterways' signature Star Ships -- navigates the Danube, Moselle, Rhine and Main Rivers. Emerald Liberte is the fifth vessel in the line's Star-Ship fleet but it's 82 feet shorter and carries a maximum 138 instead of 182 passengers. The 182-passenger Emerald Dawn offers a contemporary decor, heated swimming pool with a retractable roof and cabins from singles to suites. Emerald Sun is a 182-passenger, 443-foot long ship, with 92 cabins from singles to suites, and a heated pool with retractable roof. 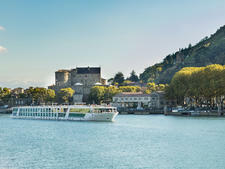 A moderately priced river cruise ship with three passenger decks that pack in plenty of facilities including a hair salon, gym, massage room and a swimming pool. Launching in 2019, Emerald Waterways' first-ever ocean cruising vessel, a 36-passenger luxury yacht, will sail Croatia's Dalmatian Coast in the Adriatic Sea. A slice of Europe on the Mekong, Emerald Harmony brings thoughtful, contemporary sailing to an adventurous region of the world.